Silversea Cruises, the world's leading luxury cruise line, today celebrates 'one-year-to-go' until Silver Cloud's inaugural voyage as an ice-class expedition ship, by releasing detailed renderings of the ship's refurbishment. The refurbishment and conversion is due to be completed in November 2017, and will be an industry defining moment as Silversea will once again redefine 'luxury' and 'comfort' in expedition cruising. The inaugural voyage will travel to Antarctica and will provide the highest space-to-guest and crew-to-guest ratios in expedition cruising. A guest capacity of 260 in non-Polar regions and just 200 in Polar Regions means that guests will enjoy the highest levels of personalised and attentive service on board. luxurious, all ocean view suites which will be elegantly decorated with new furnishings and upholstery in a refined colour palette. Silver Cloud will have the largest suites in expedition cruising and over 80% of the suites have a private veranda. A newly released Silver Cloud 2018 digital brochure highlights the ship's itineraries following her transition into the expedition fleet. During this time period she will travel over 70,500 nautical miles, visit almost 190 destinations, with over 380 ports of call, and make more than 30 maiden visits. 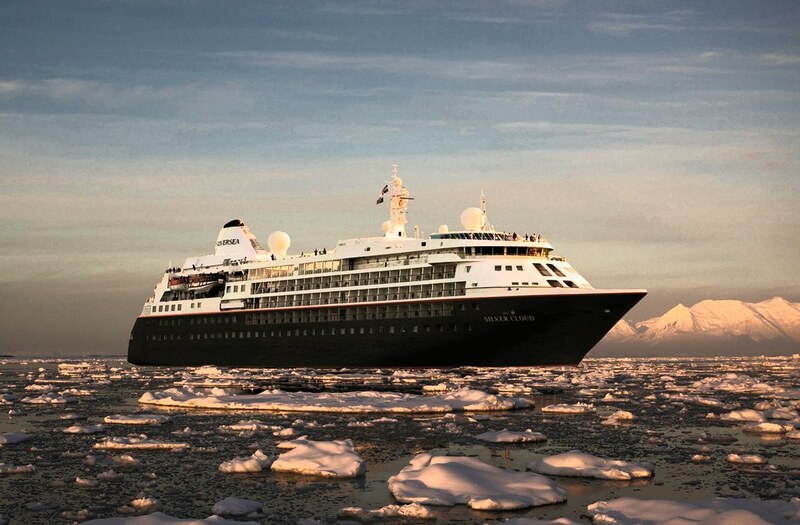 She will embark on 11 Antarctic and eight Arctic voyages; sail under London's Tower Bridge; discover the history and culture of the British Isles; explore the Norwegian Fjords; transit the Panama Canal; enjoy culinary discoveries in Europe and South America and spend Christmas in the Falkland Islands. The ship will feature 18 new zodiacs, enabling ship-wide simultaneous explorations in groups of no more than 14 people. Silver Cloud will also have a team of up to 19 dedicated experts on hand to ensure guests leave with the best experiences from their voyages, whether they are the sights, the sounds, the history or the stories. Daily presentations and lectures by experts in the state-of-the-art theatre will also be streamed live to all suites. Visit the latest video which showcases Silver Cloud as an expedition ship, and our full set of new renderings. For more information on Silver Cloud and her 2018 itineraries visit here.